What is LEGO® based therapy and who is it for? LEGO® based therapy is suitable for use in a wide variety of educational, community and home education settings, we provide LEGO® based therapy training, workshops and support with our experienced staff. LEGO® based therapy was designed to support children with ASD but can be used in a wide range of scenarios to help learn and develop skills such as collaboration, communication, problem solving and symbolic thinking by learning through play. 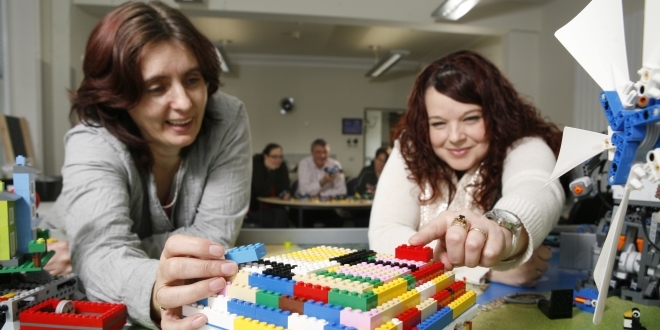 Our one-day course will teach you all the skills and provide you with resources you need to deliver, manage and evaluate LEGO® based therapy. Participation on the one-day training is enough to enable you to set up and implement a LEGO® based therapy club (Brick Club) in a range of different settings, modifications to the therapy may need to be considered and this will be discussed as part of the course. A resource pack will be available at the end of the course for you to take away, modify and use with your learners, pupils, children or young adults. Virtual resources will also be available for you to access after the course. We deliver tailored LEGO® based therapy workshops to all ages, with our experienced staff and provide a range of our LEGO® and digital equipment. Our LEGO® based therapy workshops can be developed for adults, older pupils and children using LEGO® WeDo 1, WeDo 2, EV3 robotics and coding resources, with the use of LEGO® and iPads to produce animated video’s.  The goal is to build the types of skills that can help better engage, share experiences and collaborate. Working with groups to encourage problem-solving, communication, and engagement, use LEGO® to build motor skills, facilitate speech and enhance social communication. LEGO® based therapy can be expanded to encourage creative play and collaboration through storytelling, activities and innovation, working together to build much more elaborate LEGO Mindstorms robots and program them. In these more advanced scenarios, they collaborate in complex world-building, storytelling and design. Contact us if you would like us to run a LEGO® based therapy workshop or to attend our one-day course to learn all the necessary skills and knowledge to get you started. Get in touch if you would like to visit our LEGO® Education Innovation Centre in Rhyl, North Wales. 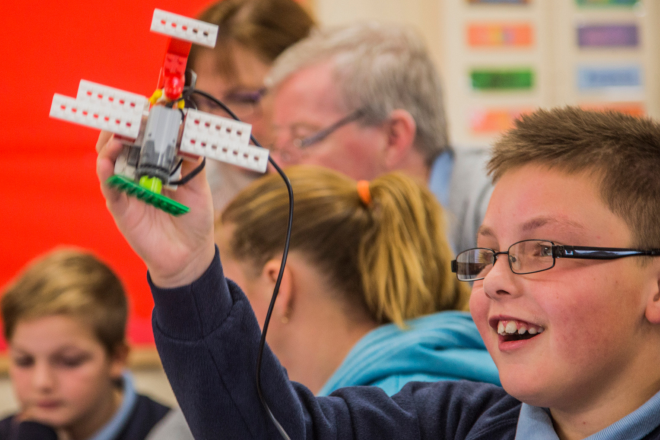 If you are attending a course you will have the opportunity to have a tour to see how the therapy programme can be developed for adults, older pupils and children using LEGO® WeDo 1, WeDo 2, EV3 robotics and coding resources. The use of LEGO® and iPads to produce animated video’s will also be discussed. E-mail us about our LEGO® based therapy courses and workshops below; you will receive an email confirmation to your email address confirming we have received your enquiry, and get back to you as soon as possible. Dr William Lockitt has over forty-five years’ experience in education and has written several publications highlighting the effective use of multimedia flexible and open learning. 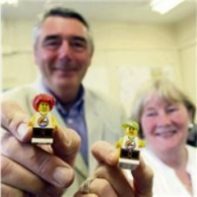 Since 2010 Dr Lockitt has been the strategic policy Director for G2G Communities CIC and in 2011 managed the implementation of the first not for profit, community focused LEGO Education Innovation Studio in the UK. The LEGO® based therapy materials have been written and produced by Dr William Lockitt.